LOS ANGELES (August 1, 2017) – Multi-talented singer, songwriter, television personality, sports host and producer, Lilian Garcia, ventures far outside the ring to interview today’s greatest entertainers, athletes and influencers on her brand-new, human interest podcast from PodcastOne, the nation’s largest advertiser-supported podcast network. Chasing Glory with Lilian Garcia takes on heavy-hitting interviews with poise, skill and empathy, as the multi-talented host dives deep into the journey these well-known personalities followed along their personal chases to success. Topics include how they worked to get where they are today, their very personal challenges along the way, and their raw and inspiring histories that the world has never heard. 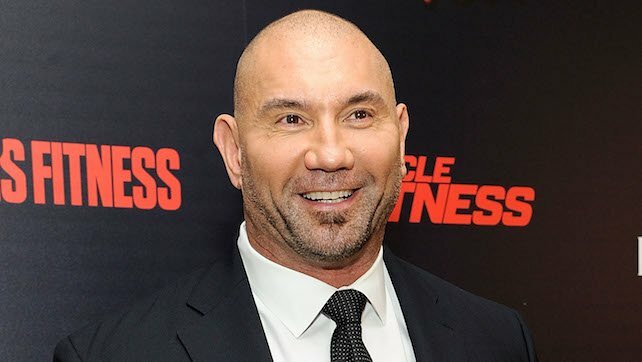 The podcast debuts with revelations by actor Dave Bautista, who everyone knows as a tough guy from one of today’s biggest super-hero franchises, Guardians of the Galaxy, and formerly, the WWE. He divulges his battles with social anxiety, discusses his estranged relationship from his father, and more. The episode is available now on PodcastOne.com, the PodcastOne app and Apple Podcasts, with new episodes every Monday. From competing in beauty pageants, to becoming one of the most popular hosts on WWE, Lilian Garcia is a multi-talented singer, songwriter, host, television personality, and producer. She started her professional broadcasting career as co-host on WYYS radio’s morning show, followed by their drive-time show, and then as a VJ for WTLK-TV. Lilian has performed or made appearances on Dancing with the Stars, Celebrity Apprentice, Fox and Friends, Live with Regis and Kathie Lee, Good Day LA, Best Damn Sports Show, SiriusXM Radio, VH-1, Mun2, Mike and Juliet Morning Show, Your World with Neil Cavuto, the Macy’s Thanksgiving Day Parade and as an opening act for the legendary James Brown. She’s also sung the national anthem at numerous sporting events. Lilian released her first single, Shout, in 2002, which debuted on the Billboard Hot 100. In 2007, she released her first album, and later did a Las Vegas summer residency with her band, The Fuse. Currently, Lilian is back in the studio recording new songs and hosting a brand-new podcast with the nation’s leading network, PodcastOne. She has always been passionate about giving back to her community through charitable work, and has served as an official spokesperson for the Susan G. Komen Foundation. PodcastOne, (www.PodcastOne.com) the nation’s leading advertiser-supported podcast network, was founded by Norm Pattiz, founder of radio-giant Westwood One. The network currently hosts more than 200 of today’s most popular podcasts, including Adam Carolla, Shaquille O’Neal, Norman Lear, Steve Austin, Heather and Terry Dubrow, Geffen Playhouse, Dan Patrick, Barstool Sports, Laila Ali, Dr. Drew, Neil Strauss, Gabrielle Reece, Penn Jillette, Eddie Trunk, Rich Eisen, Chris Jericho, Jay Mohr, Laura Ingraham, the Forbes on PodcastOne Network and more. Follow Norm on LinkedIn.